SBHS Choir audition for Texas All-State Vocal. This past weekend our SBHS Choir had two students compete in the Area round of the Texas All-State Vocal Auditions. 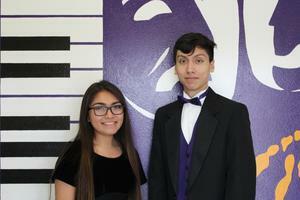 Julian Nino was selected as an all-state vocalist, and Audrey Garza was selected as a first alternate.